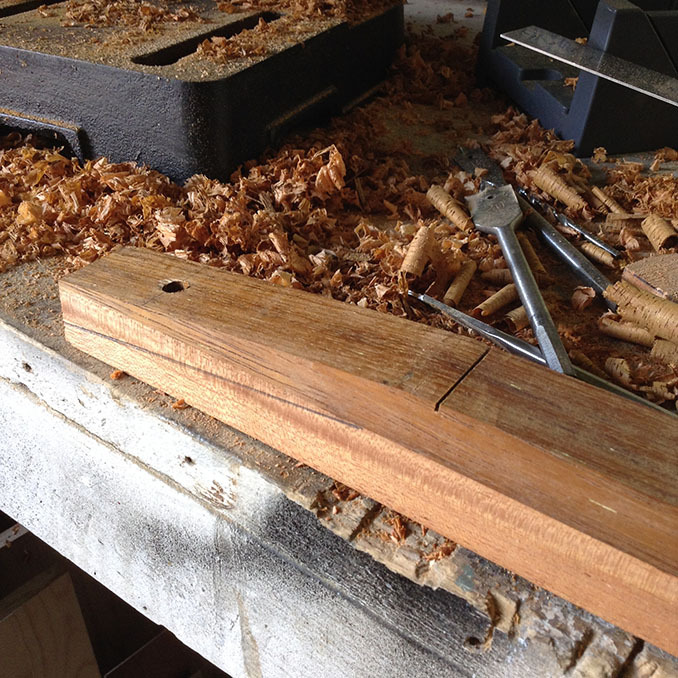 Watching some Justin Johnson videos on YouTube and then doing some more reading and surfing looking at one stringed instruments, I decided to deviate sideways from my Ukulele building and build a diddley bow. A friend had made me a portable amp for my birthday last year. 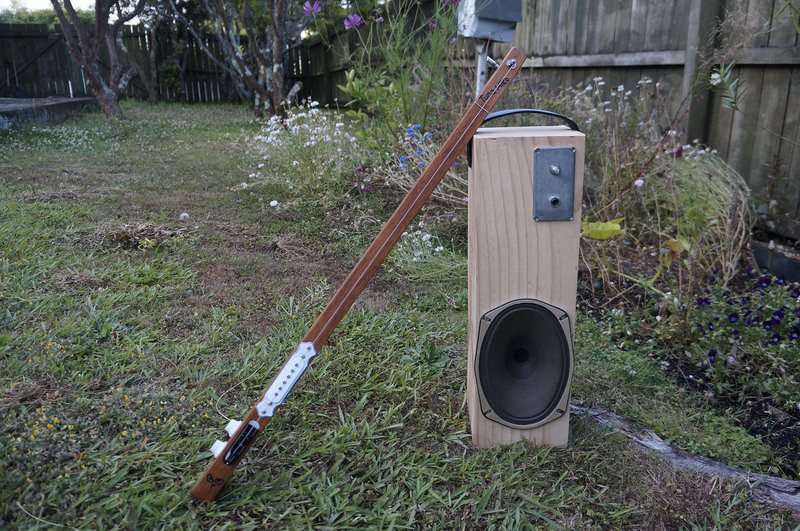 I had given my only uke with a basic piezo pickup away, so a electric diddley bow seemed like a good project. 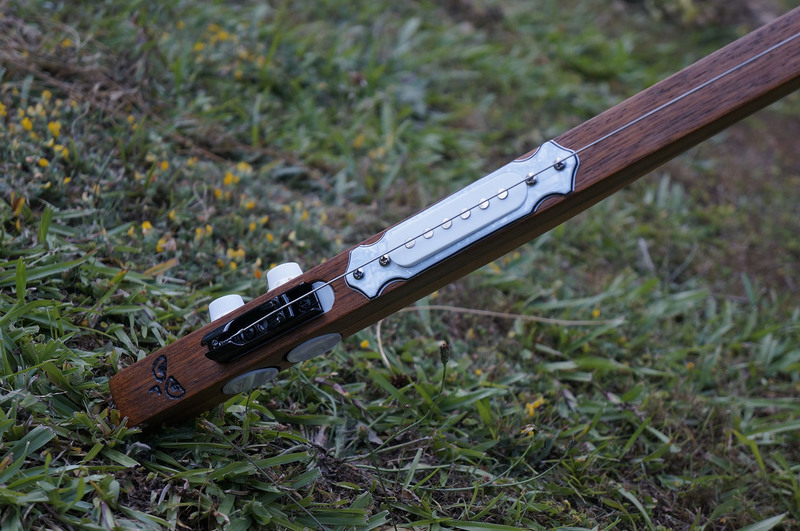 Built from a combination of Mahogany and Merbau/Kwila, fretless and with a basic electric guitar pickup, my goal was to make it as thin as possible. If I make a Mk2 some time, I’ll wind my own single coil pickup – more compact and visually nicer. Tuna Hiko is Maori for Electric Eel. Awesome Build!!!!! What string did you use? was it a guitar string or just wire? Hi, thanks.i used a standard guitar string – although I have seen general wire used. Hi Mike, just stumbled upon your site while looking for some ideas on one string guitar pickups. 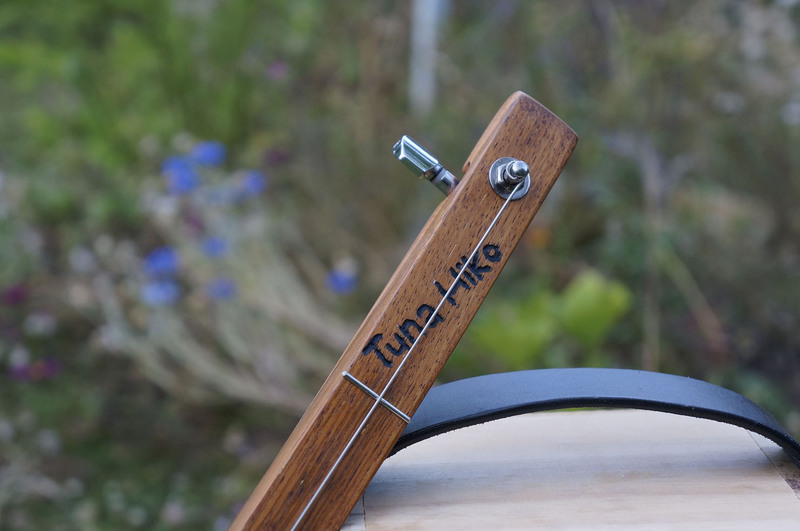 Loving your Tuna Hiko which bears some similarities to a one string I’ve got half built in the workshop, I’m using the same pickup surround as yours, but in black. To date I’ve made a couple of one stringers and a few “signature” Diecasters – a name I came up with for my diecast box three stringers. Can I send you some pics sometime? Hi Paul, my apologies for delay in response. Would love to see your work sometime. Send a link through or catch me on my username at gmail dot com! Hi, Great writeup! 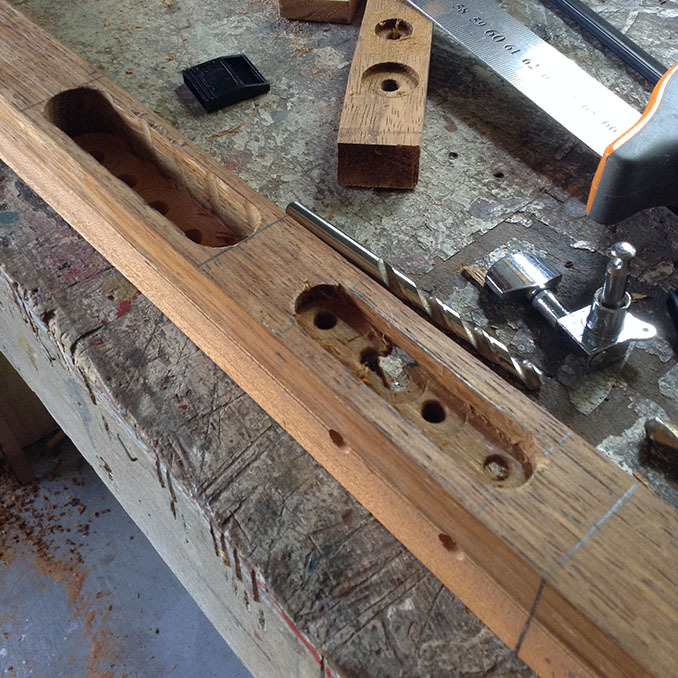 I wanted to know if you had any dimensions of the wood that you used or even perhaps spacing that was used…The layout and design of this diddley bow is top notch!